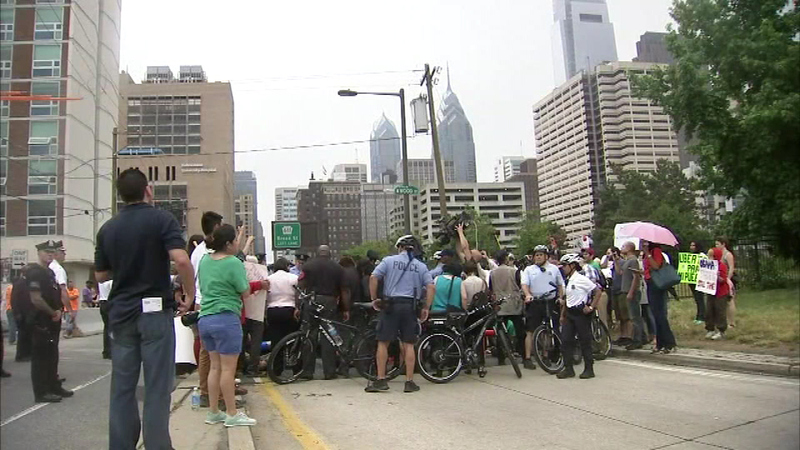 Pictured: The protest near the Vine Street Expressway in Center City Philadelphia. 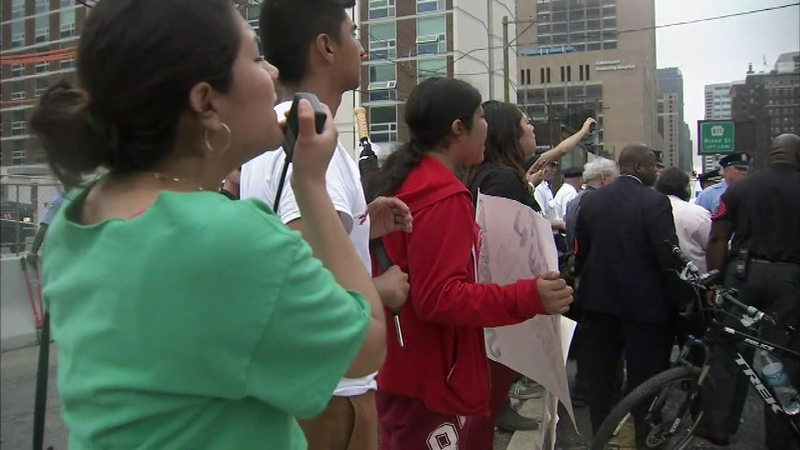 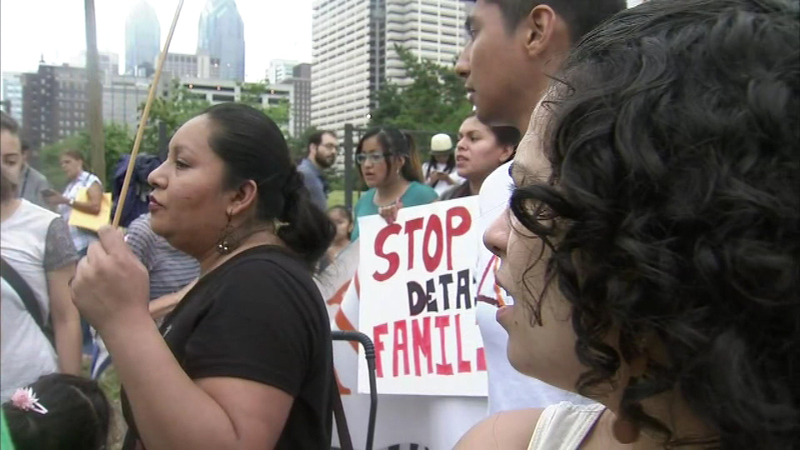 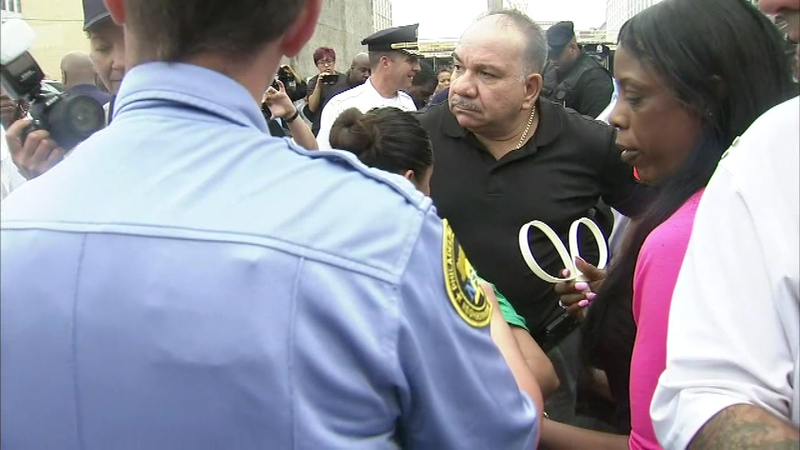 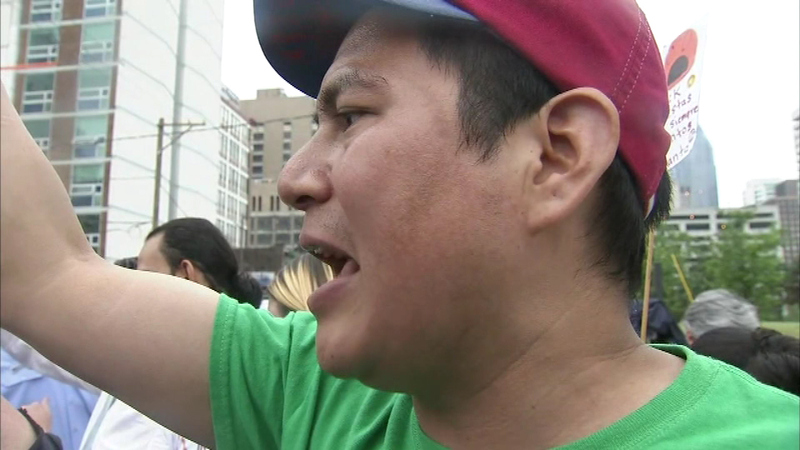 CENTER CITY (WPVI) -- An immigration protest briefly impacted traffic near the Vine Street Expressway (I-676) in the Spring Garden section of Philadelphia on Tuesday. 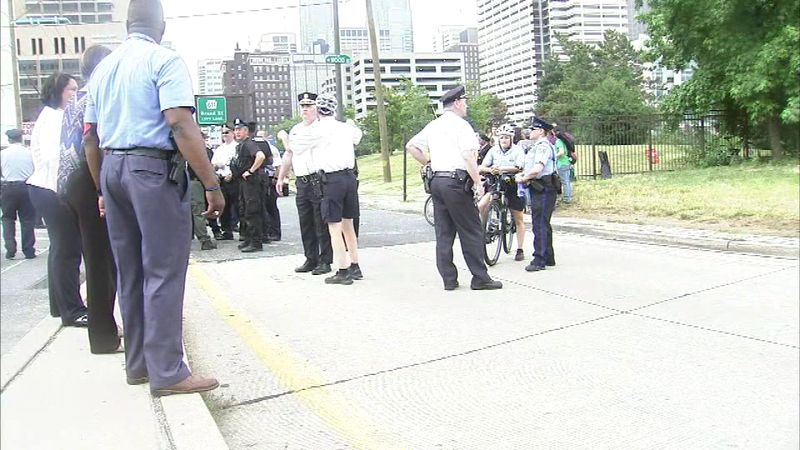 A group of demonstrators sat across 15th Street, blocking the Broad Street exit for a short time. 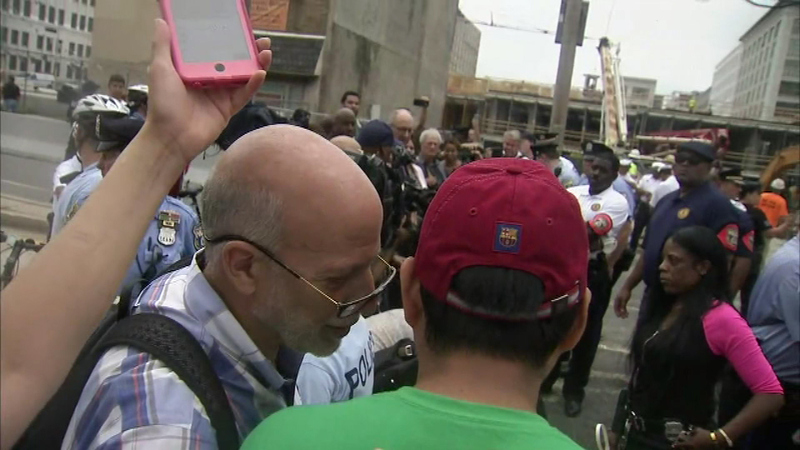 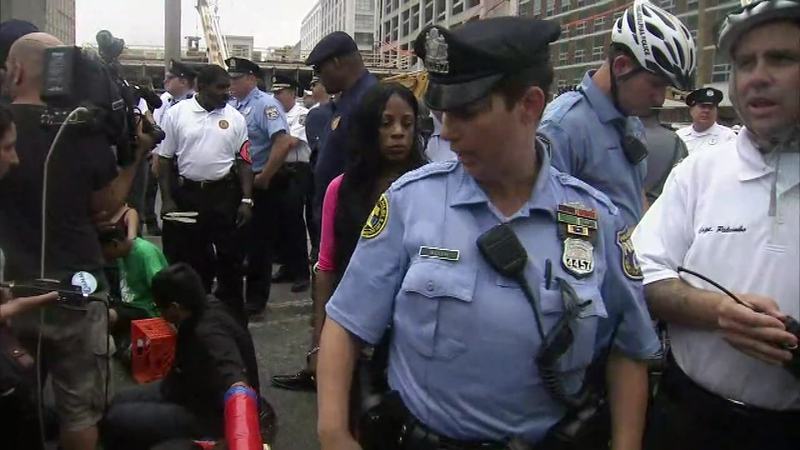 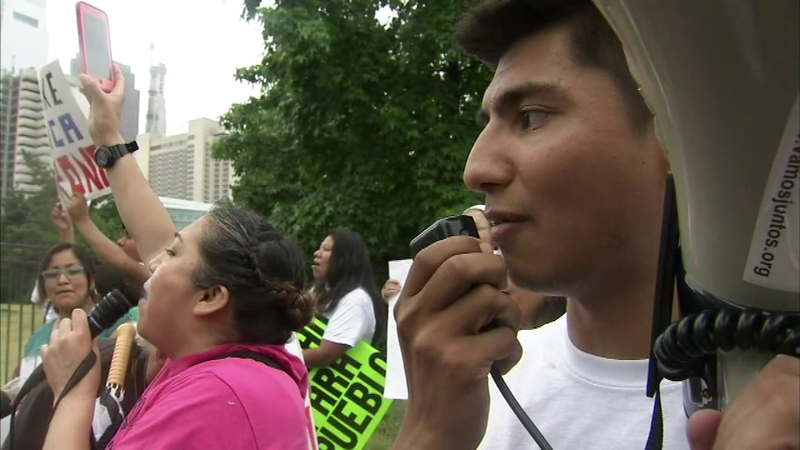 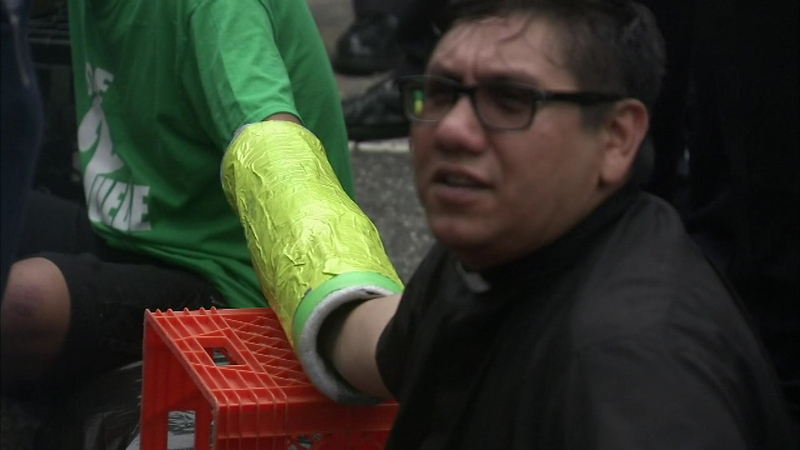 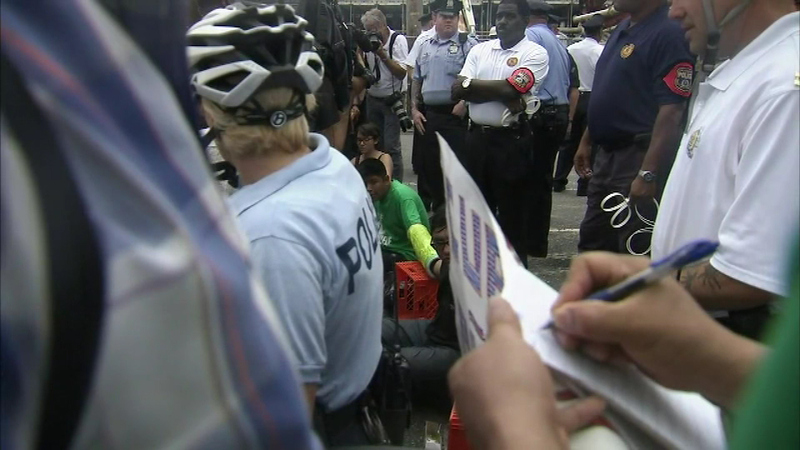 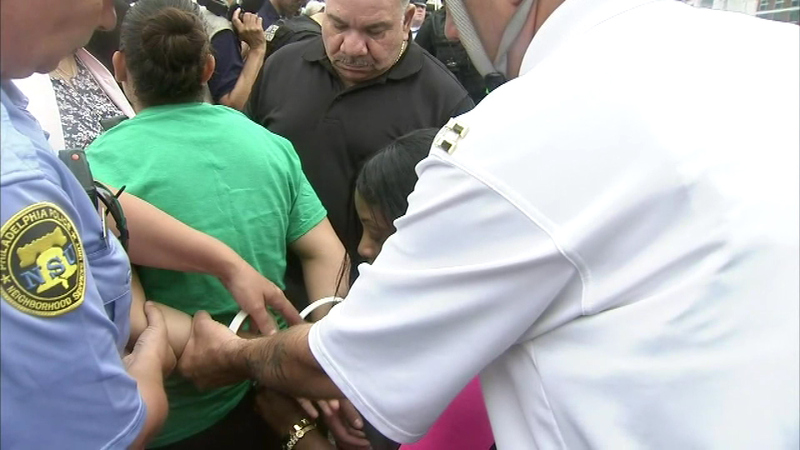 Some immigration activists were arrested in Spring Garden on Tuesday. 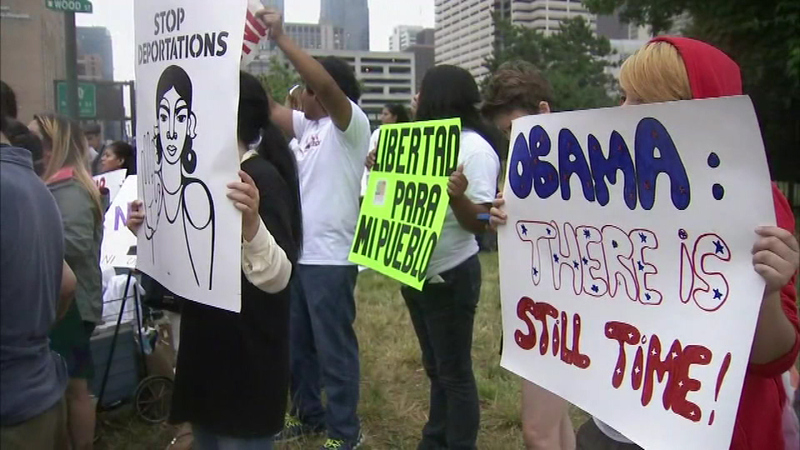 They were protesting the Supreme Court decision that essentially stalled President Obama's plan to shield millions of immigrants from deportation. 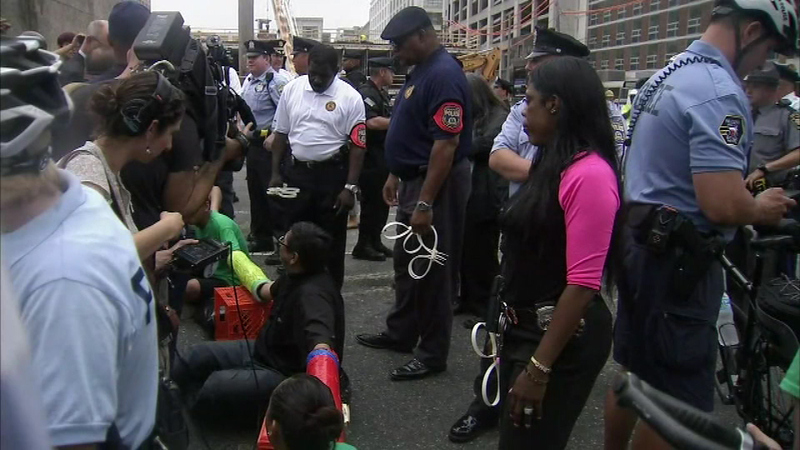 Video from the Action Cam showed some protesters sitting on the road with their arms linked together. 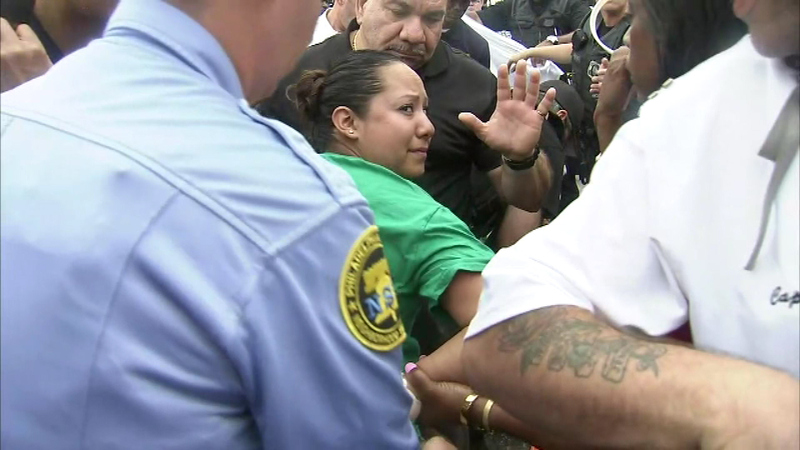 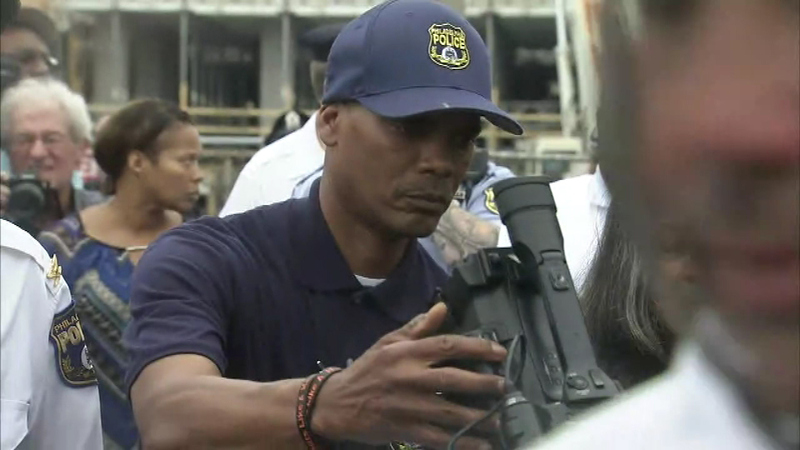 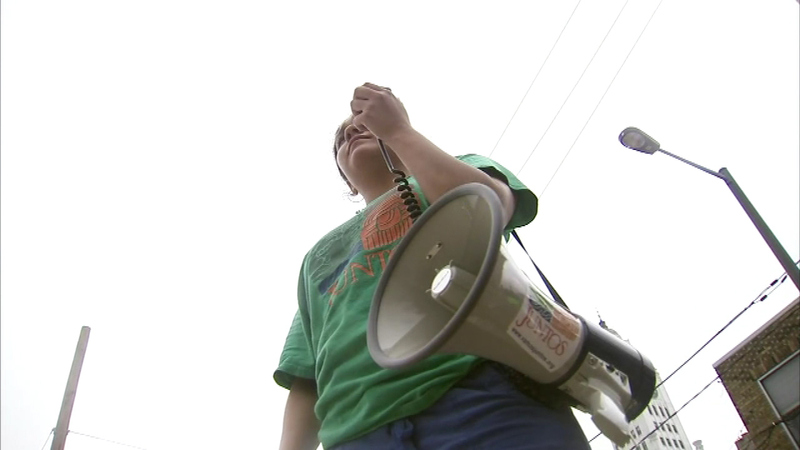 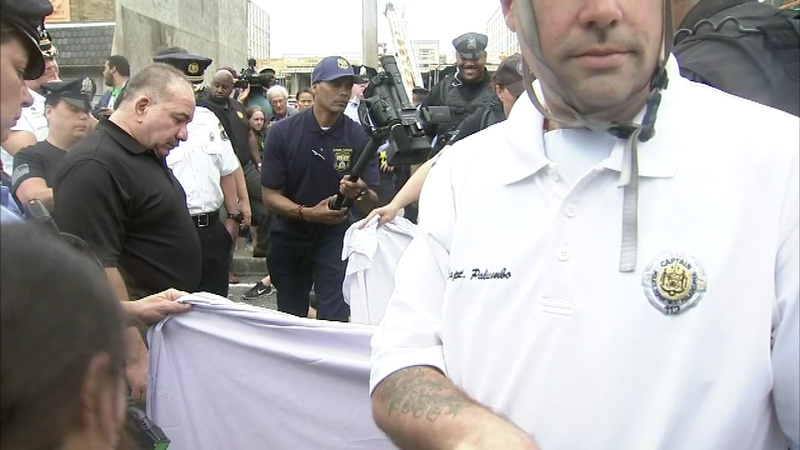 Police were on the scene and Action News as five of the activists were arrested. 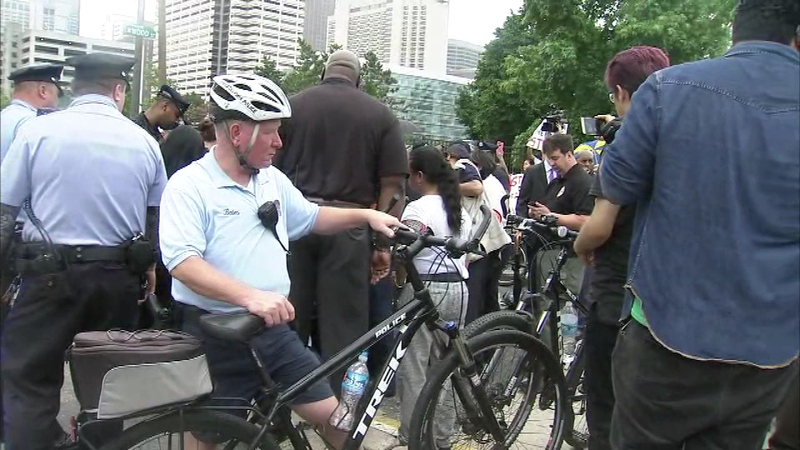 The scene was clear shortly after 12 p.m.